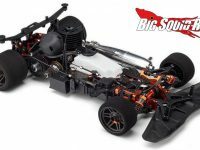 RC On Road « Big Squid RC – RC Car and Truck News, Reviews, Videos, and More! You are browsing the "RC On Road" category archive. New from Schumacher Racing is the on-road Fusion 28 Turbo! It’s a 1/10th scale 4wd nitro speed demon. It uses the Schumacher X28 engine (Pico), and a 3 speed transmission to hit speeds of 80+ mph! Zoom Zoom! Check the official Schumacher Racing site for more details. Kyosho is Back in the Rally Game! Speaking of indoor RC Racing, Strictly R/C also has some good mini rc racing happening in their basement this winter. They have recently remodeled their small scale track with 50×20 Ozite and using Calandra’s Click Track barriers. Wednesday Nights are the Big Race Night there, along with Sunday Afternoons. Check their site for practice times and fee’s. RC Videos Section Getting an Update! Here is the info sheen on the new Parma 1/8th scale R12 Nitro Race Body. It’s got a closed cockpit, tons of aerodynamic improvements and even has body stiffeners. If you are a on-road rc racer, this is probably on your ‘to get’ list! Click the image for the full version. Is it time for a hair cut? 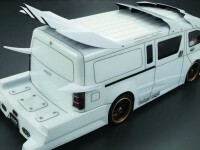 Parma has just released the 1/10th scale 190mm Mohawk 2 Sedan Body. The new Mohawk 2 meets the new GBS (Global Body Spec) Guidelines and is ROAR approved! Click the image to get the full spec sheet.